Systems that are ideal for you is dependent on several factors including the dimensions of the area you want to cool or heat, the amount of rooms, your construction design, structure and layout, the aesthetics you want to attain, and also your budget. They vary from a split-level to a fully ducted installation. 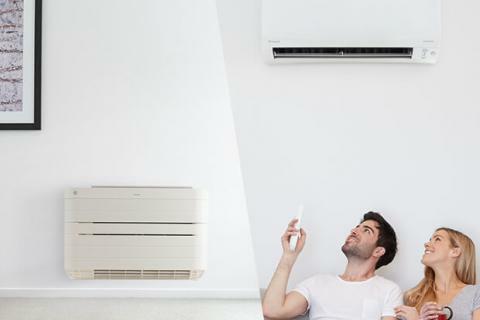 From a bedroom, living room or something a little different, our combination of technology, expertise and design at Longreach Refrigeration and Airconditioning will provide you with the most effective and efficient air conditioning alternatives for your needs. Split Conditioning systems are best used and are more cost effective in a single room or a specified area. These system comprise of an outdoor compressor attached to an indoor wall mount. Modern split systems can also filter and de-humidify the atmosphere through state of the art filtration systems which offer fresh, clean air while trapping microscopic particles. Multi-Split systems permit you to cool around eight rooms with reassurance your machine is of maximum quality and quality. The components could be connected to your wall mounted, floor standing, ducted, bulk-head or ceiling tape systems based on individual area layout and requirements. Multi-head split systems are a wise option if you have insufficient space for the outside compressor or roof area for ductwork. The multi-head system is a reasonable system to air-condition numerous rooms inside your house. It helps for a single outdoor unit (condenser) to be attached to a vast array of indoor mind systems (fan coil units), allowing each area to be independently controlled. Longreach Refrigeration and Airconditioning can design systems to operate in zoned areas so it’s possible to manage temperatures in different rooms to suit your way of life or building needs or switch off areas not in use, providing environmental energy efficiency. Longreach Refrigeration and Airconditioning will design and install customised ducted systems that will add an element of discreet luxury to your house, making it more comfortable and enjoyable on the hottest and coldest days. Inverter technology offers systems that track and keep a continuous level of temperature, in a lower total cost to conventional ducted technology. The advantages include decreased energy consumption and running costs; fewer voltage peaks; quicker start-up time and attaining the desired temperature sooner; no changes in temperature, and even quieter operation. A ducted system could be tailor designed for new or existing buildings. It features an outdoor compressor/condenser that’s connected to the indoor system with insulated refrigerant pipes. The indoor unit spreads air together flexible ductwork to every room through air vents in selected locations, which can be placed discreetly in the ceiling, wall or flooring.